When the most awesome girl group, the WubbGirlz, host the Wuzzleburg Idol talent show, everybody in town wants to win the contest. 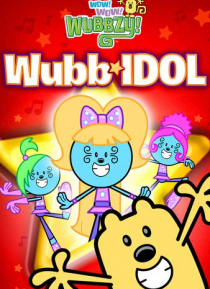 If Wubbzy can wow the judges, he'll get the chance to perform with Sparkle, Shimmer, and Shine (Beyoncé Knowles) at their big concert in Wuzzlewood and maybe become a movie star. Join Carlos Alazraqui (HAPPY FEET FRANCHISE) and Jann Carl (TV's ENTERTAINMENT TONIGHT) i… n this sparkling, song-filled movie based on the award-winning series.